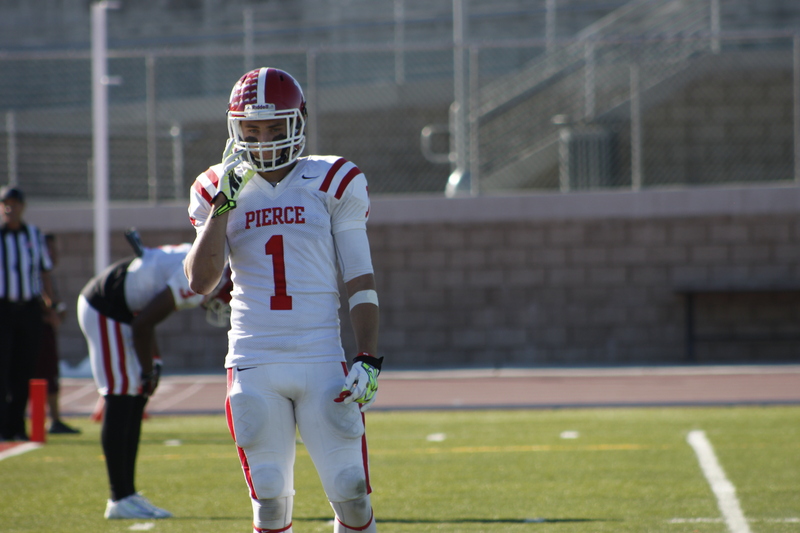 Sophomore wide receiver Bryson Martinez, 20, had six touchdowns this season for the Pierce College football team. Martinez has received numerous offers and will be transferring to a D-I school after the fall 2014 semester. How do you feel about being named Brahma of the Semester? Why do you think your play was so successful this season? What athlete do you model your game after? How did you decide to come to Pierce and did you come solely for the football program? What keeps you focused and in the game? Do some games mean more to you than others? Do you feel like your teammates and coaches relied on you? What is your favorite memory while playing for Pierce? What will you miss the most when you transfer from Pierce? What are you looking forward to when you transfer?